You may have heard it in the past. In fact, you may have heard it far more than you even care to talk about. Whether by commercial, online ads, or word of mouth, I guarantee you have heard something along the lines of earning thousands of dollars at home while working only in your spare time. You may have heard stories of people earing income streams online that quickly exceed that of their monotonous 9-5 grind and are soon given the freedom of working for themselves from the comfort of their own homes. You have probably let almost every single one of these ads and sayings come into one ear and let quickly slip right out of the other. The truth about it though is that these methods actually do exist. It is possible to accomplish these things and it is actually possible that a person gets rich “quick” while doing it. There are however many misconceptions when dealing with this line of work that tend to be the same driving forces that deter many people from pursuing these goals. Below are some of the largest misconceptions when dealing with online marketing and the reasons why it can be a very beneficial income strategy for you. You have probably heard this one far too many times over. The common get rich quick schemes. No doubt about it, these things must be scams right? In order to get rich quick, there must be somebody somewhere along the line that gets absolutely ripped off in the process. On top of this, all of their offers seem far too good to be true. I have to admit that a lot of these are scams and rip offs, but it is something that you must analyze and make your own judgments about. While you must first sort through the unfortunate garbage, there are plenty of get rich methods out there that actually do work for people. The trick they are speaking of though is this. When some methods or products speak of the get rich quick method, they are speaking of time on a RELATIVE scale. These are referring to methods that have the ability to earn people income faster than their plan of saving small amounts of money in their dwindling savings accounts only to have the ability to retire at 65. These get rich quick methods are generally geared toward people that have the desire to allow themselves to earn large amounts of money early in life and avoid the regular “race to the retirement home” riches that most people find themselves in. It works for me….I don’t have to work for it…….RIGHT? This is yet another misconception about the online world that even I am slowly taking a larger and larger grasp on. Most people think that with passive income streams, leverage, and unlimited automated options that they can basically sit back and watch the money roll in right from the bat. This could not be further from the truth. This is the step that people seem to be forgetting when dealing with online work and their development of passive income streams. Whether you are selling affiliate products via niche sites, article sharing, selling your own products, etc, etc, you need to put in the initial investment and time in order to build yourself up. There is absolutely no such thing as sitting back now so you can sit back and reap the benefits later. That is just not the way that life works and it never will be. 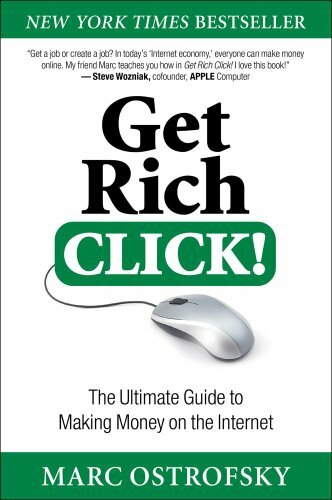 Again, I have already gone over the misconception and time scale talk of the get rich quick method, but let me elaborate on a different aspect of this same game. Working for this get rich quick goal is not a short term race. This is not something that you can expect to put in a few weeks’ time and expect to see abundant amounts of results. This method is in fact a long road. This is a marathon rather than a sprint. If you are lining up on the start line and expecting to keep up the 100 meter dash pace, you will quickly burn out when it comes to the 26.2. Instead of dropping everything and putting forth all your efforts into your passive income strategies today, remember to take a steady pace at least in the beginning. Don’t expect to be able to quit your job today, sit on your computer for a few weeks, and live happily ever after. Nice idea, but very far from reality. In order to get your online success in action, you have to be willing to put in the years. The fact of the matter is that some of these online strategies are in fact businesses and they must be treated as such. It may take weeks, months, or even years in order to see any sort of substantial financial success begin to come your way. Don’t give up though. Success is often found to be viral and exponential when it comes to online strategy. Once something begins to catch on, it may very well take of faster than you can even handle. Until that moment comes, sit back, be patient, stay motivated, and keep your eye on the prize with confidence that you are committing your time to the right thing.